The luxurious, thick, matte pages of this upgraded portrait Coffee Table Book open incredibly flat, allowing two-page spreads such as this one to really shine. Not only does it look great, but this paper also has a beautiful, silky texture. 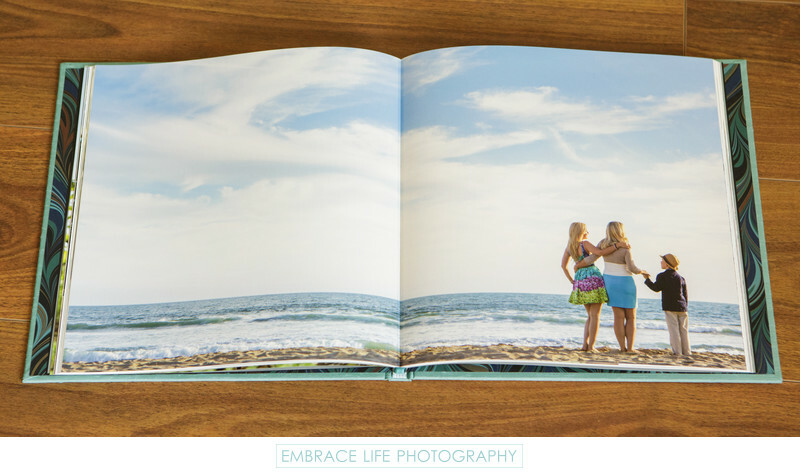 This Santa Monica portrait photography book has a lovely robin's egg blue silk cover and complimentary, designer end paper and matching silk ribbon binding.